James Isaac Vance was born September 25, 1862 in Arcadia, Tennessee to Charles Robertson and Margaret (Newland) Vance. Charles and Margaret had been married in the fall of 1860 by Rev. Daniel Rogan of Kingsport. At the time of his birth, his father was serving in the Confederate Army. His mother lived in Arcadia with family during the time of her husband’s service. After having some interest in practicing law like his father, James purposed to enter the ministry because his mother had provided most of his religious instruction and encouraged him to become a pastor. After the war, James’s father ruled in the local Presbyterian Church as an elder, was selected a commissioner to the Presbyterian Church in the United States (PCUS) General Assembly, and was for over twenty years the President of the Board of Trustees for King College. 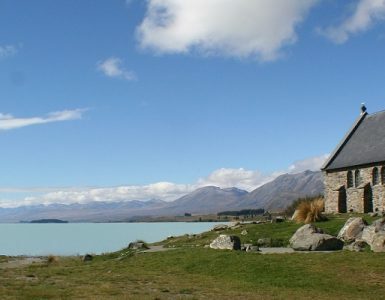 James pursued his education in preparation for the ministry at King College where he received both the Bachelor and Master of Arts. He moved on for theological study to Union Seminary in Virginia completing his divinity program in 1886. 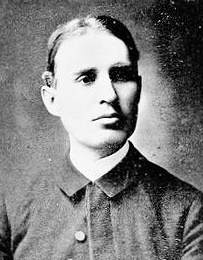 During his studies at Union he was licensed by Holston Presbytery, 1884, so that he was ready for ordination and installation in the Presbyterian Church in Wytheville, Virginia, where he shepherded briefly until 1887. 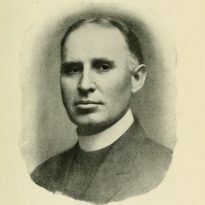 After four years in the Second Presbyterian Church in Alexandria, and then three or so more in First Presbyterian Church, Norfolk, he accepted a call in 1894 to the church that would receive most of his remaining pastoral service. At the time of his move to Nashville, James Vance did not know that he would have something in common with the man in the White House at the time, President Grover Cleveland. Cleveland was serving his second term in office non-consecutively due to the interruption caused by the election of Benjamin Harrison in 1888. At the time of Rev. 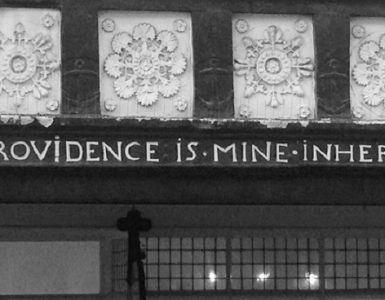 Vance’s installation in First Church in 1895, the communicate membership numbered over a thousand according to the annual statistics reported to the PCUS General Assembly, which made it the largest church in the denomination. Other large churches such as Central in Atlanta had 812 members; B. M. Palmer’s congregation in New Orleans included over 650 communicates; and the Woodland Street Church in Nashville had a flock of 425 over seen by R. C. Reed. 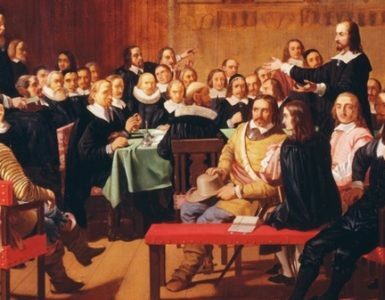 However, despite his effective ministry and an appreciative congregation in Nashville, at the turn of the century Vance left Tennessee for the North Church of the Reformed Church in America in Newark, New Jersey. After a decade of ministry in another state and denomination, Dr. Vance returned to Nashville in 1910 for his second call where he continued until his retirement in 1936. In 1914, he enjoyed the privilege of celebrating the congregation’s centennial by delivering a discourse titled, “A Century Old Church,” using for his text Joshua 14:11. After fifty years of ministry to local congregations, denominationally, interdenominationally, and ecumenically, James Isaac Vance died November 24, 1939. During his first pastorate in Virginia, James Vance married Mamie Stiles Currell of York, South Carolina, December 22, 1886. They had six children. The boys were William Currell, James Isaac, Jr., and Charles Robertson; the girls included Agnes Wilkie, Ruth Armstrong, and Margaret. He was honored by King College first with the Doctor of Divinity, and then later his alma mater also gave him the LLD. Hampden-Sydney College gave him another DD, and Austin College graced him with a second LLD. He was the moderator of the PCUS General Assembly in 1918. Dr. Vance published a considerable amount of material including several popular Christian-living books, articles, lectures, and sermons during his fifty years of ministry. He was quite an accomplished author and a goldmine for his publishers. His writings came forth first in the book, The Young Man Foursquare: In Business, Society, Politics, and Religion, 1894, which was followed by Church Portals, 1895, The College of Apostles; A Study of the Twelve, 1896, Rise of a Soul, 1897, Royal Manhood, 1899, Simplicity in Life, 1903, A Young Man’s Make-Up, 1904, The Eternal in Man, 1907, Tendency: The Effect of Trend and Drift in the Development of Life, 1910, Life’s Terminals, 1917, The Life of Service: Some Christian Doctrines from Paul’s Experience in the Epistle to the Romans, 1918, In the Breaking of Bread: A Volume of Communion Addresses, 1922, Being a Preacher: A Study of the Claims of the Christian Ministry, 1923, God’s Open: Sermons That Take Us Out of Doors, 1924, Forbid Him Not: Messages for our Day and Time, 1925, Love Trails of the Long Ago, 1927, This Dreamer: Addresses on Achieving Faith, 1929, The Field is the World, 1930, Sermons in Argot, 1931, Worship God!, 1932, Let Not Your Heart be Troubled: Communion Addresses, 1934, and Thus Pray Ye, 1935. Some of his individually published sermons include–Predestination, 1898, Christian Fundamentals, 1924, and Fundamentalism, Liberalism, Tolerance, . Due to the popularity of his written works and his skill as a speaker, Dr. Vance was sought out not only as a guest speaker, but also by colleges to serve as their presidents, and other churches hoping to encourage him into their pulpits. For a comprehensive history of the Nashville church, see Damaris Witherspoon Steele, First Church: A History of Nashville’s First Presbyterian Church, in three volumes, 2004. The history of Vance’s ministry crosses from vol. 1 into vol. 2. It should be noted that the property used as First Church at the time of Vance’s two calls is currently named Downtown Presbyterian Church (PCUSA). Also with respect to the history of First Church see, The First Presbyterian Church, Nashville, Tennessee: The Addresses Delivered in Connection with the Observance of the One Hundredth Anniversary, November 8-15, 1914, published the following year. With respect to the size of First Church, Nashville, even though the membership was over a thousand in 1895, when the vote was taken for Vance’s call only 240 votes total were tallied (Steele, 1:201). Biographical sources from Internet Archive include Zella Armstrong, Notable Southern Families, Vol. 2, 1922; Confederate Veteran, Feb. 1912; Will T. Hale, A History of Tennessee and Tennesseans, vol. 5; and the usual standard Presbyterian historical reference works. 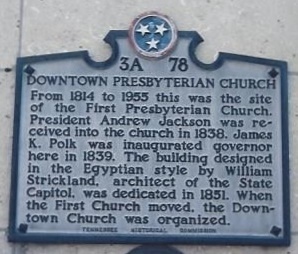 The photographs of First Church, Nashville, currently Downtown Presbyterian Church, and the picture of the Tennessee State Historical Marker were taken by the author.